Whiteville, North Carolina, was originally part of a parcel of land inherited by John Burgin and his wife, Margaret, in 1733. After the American Revolution, the population in the area grew, and in 1808, Columbus County was created to accommodate the new settlers. The land upon which the Columbus County Courthouse was built was given to the county by James B. White, the county’s fist state senator and the namesake of the town. During the Civil War, General William Sherman and his army passed through Whiteville, looting and wreaking havoc on their way. After the war, the area was able to rebuild and continued to grow. Yet it was not until 1873 that the town of Whiteville was officially chartered. Jews have lived in Whiteville since before the Civil War. Among the first Jews of Whiteville was Jacob Bamberger, who left Weismain, Bavaria, for New York with his brother Herman in 1854, when Jacob was only 14 years old. After working in New York for a few years, the Bamberger brothers moved to Wilmington, North Carolina, where they opened a merchandise store. Herman eventually parted ways with his brother, serving in the Confederate Army before returning north. By 1860, Jacob Bamberger had moved to Whiteville, where he was a merchant with $3000 in personal estate. Bamberger’s tenure in Whiteville did not last very long. In 1862, he enrolled in the Confederate Army. He was discharged after suffering a severe wound to the hip. In 1864, he left the South, moving to Fort Scott, Kansas, where he opened another clothing store. It would be several decades before other Jews lived in Whiteville. The next record of Jews settling in Whiteville was when Russian immigrant Nathan Kramer and his family arrived in 1918. He opened up Kramer’s Mens and Ladies stores, which became a Whiteville staple for nearly 90 years. His son, Hyman Kramer, along with his brother Isadore “Izzy” Kramer, took over the store after Nathan retired. Hyman, like his father, was very active in the Whiteville Jewish community, and was a lifelong Civitan. He also served as president of the chamber of commerce in 1972. Shortly after Kramer’s arrival, other Jewish families began to make Whiteville their home. These families included: the Joseph S. Mann family, J. Herman Leader, Morris Leder, the Phillip Leinwand family, and the Hyman Moskow family. The Leinwands opened a department store in Elizabethtown, while the Moskows started one in Whiteville.These families usually attended Temple B’nai Israel in Wilmington, and, from 1945 to 1960, rabbis from Wilmington would travel to Whiteville to help provide the children with a religious education. Among the most prominent families in Whiteville were the Leders. Julian Herman Leder traveled to the United States from Podkamien, in the Austria-Hungary Empire, in 1920. Upon his arrival, he immediately traveled to Marion, South Carolina, to work for his uncle, Sam Leinwand. In 1925, Leder left Marion to open his first store in Whiteville with his brother Morris. Together, the Leder brothers began to prosper, and, in 1929, Morris moved to Clinton to open a second store. Not long after, Herman and Morris’ other brothers joined the Leder Brothers firm, which soon had stores in five different North Carolina towns. By the end, Morris was in Goldsboro, Leon in Wilson, Sam in Jacksonville, and Joe in Clinton. The Leder Brothers owned 25 stores in all at their peak. Herman Leder was very involved in civic affairs in Whiteville and made a significant contribution to his community. During his life, Herman Leder funded college scholarships for Whiteville students. When he noticed that black students were never being selected for the scholarships, he set up a special scholarship program in 1951 that gave two college scholarships each year, one for a white student and the other for an African American. Leder also funded a new park for African Americans. He was active in the local Rotary Club and helped to found two banks as well as the county’s first radio station. Leder served on the board of the Wilmington Hebrew Congregation, and was also one of the founders of Whiteville’s congregation. Herman’s son, Robert Leder followed in his father’s footsteps, serving on Whiteville’s city council and becoming a leader of the Whiteville congregation. ​Another prominent Jewish merchant in Whiteville was Joseph Mann, who immigrated to the United States from Lithuania at the age of 14. After serving in the army during World War I, Mann opened a department store in Whiteville with his wife Lillie Margolis in 1922. Originally, it was jointly owned by the Margolis, Mann, and Kramer families until the Manns became the sole owners in 1928. Joe Mann died in 1968 and his son, Sol, took over the family business. He was helped out by his son, Terry, and his nephew Jackie Steinberg. The Manns have always been proud of their Jewishness, even putting a Star of David on the sign outside of their store and on their store logo. Terry Mann is very involved in the town’s civic life, working for many local charities and serving on Whiteville’s city council. In 2009, he ran unopposed for mayor. He has previously served several years as chairman of the Whiteville Chamber of Commerce. Whiteville has never had a large Jewish community. In 1937, 34 Jews lived in town. It was not until the 1950s that they decided to establish a Jewish congregation in Whiteville. The impetus for this organization was the circuit riding rabbi sponsored by the North Carolina Association of Jewish Men and funded by I.D. Blumenthal of Charlotte. Starting in 1954, Rabbi Harold Friedman visited Whiteville in a bus outfitted to serve as a traveling synagogue. Rabbi Friedman served many small Jewish communities in the Carolinas and always encouraged them to establish congregations. On January 15, 1958, Jews from Whiteville, Tabor City, Elizabethtown, and Loris came together to form Congregation Beth Israel. Construction on the Beth Israel Center was completed in May of 1959. At its founding, there were about fifteen to twenty member families at Congregation Beth Israel. They practiced in the Conservative tradition and were even members of the United Synagogue of Conservative Judaism, but stopped sending dues after a few years. For about 20 years, the various circuit-riding rabbis led services. Lay readers led the service when a rabbi wasn't there. 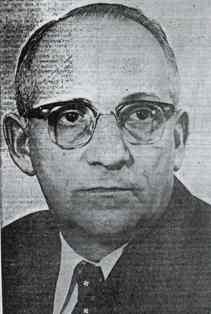 One of the circuit-riding rabbis, Reuben Kesner, lived in Whiteville. Rabbi Kesner became closely involved in Whiteville’s civic life, writing a column in the local newspaper and speaking regularly on a local radio station. 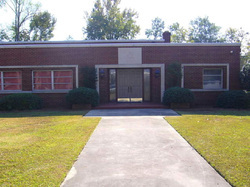 Believing that young people needed a safe place to congregate, Rabbi Kesner opened the Columbus County Community Center in 1973. Located in a frame house, the center had a game room, a jukebox, and a basketball court. The center became controversial as, at the encouragement of Rabbi Kesner, more and more black teenagers began to congregate there. Some whites accused the center’s members of using drugs and alcohol. After only six months, the owner of the house decided not to renew the club’s lease. Despite this setback, Rabbi Kesner continued to live in Whiteville and serve as the circuit-riding rabbi into the 1980s. 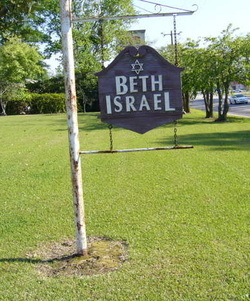 By the 1980s, Beth Israel had only about ten or 11 families, some from Elizabethtown and Loris, South Carolina. In spite of Beth Israel’s size, its members continued to maintain a Jewish presence in Whiteville. Regular services continued to be held on Friday nights, and classes were held for the children in the community. Some families still drove to Wilmington for religious holidays and Sunday school. As of 1999, there were 41 Jewish individuals in Whiteville. The synagogue had 46 members, six of which lived in Elizabethtown and one of which lived in Ocean Isle Beach. Today, Beth Israel continues to hold lay-led Friday night services, although members have begun to discuss the eventual closing of the synagogue since few children raised in the Jewish community have stayed in Whiteville. While Whiteville is part of the larger trend of declining small town Jewish communities in the South, Beth Israel remains an active congregation.